Evening elegance! 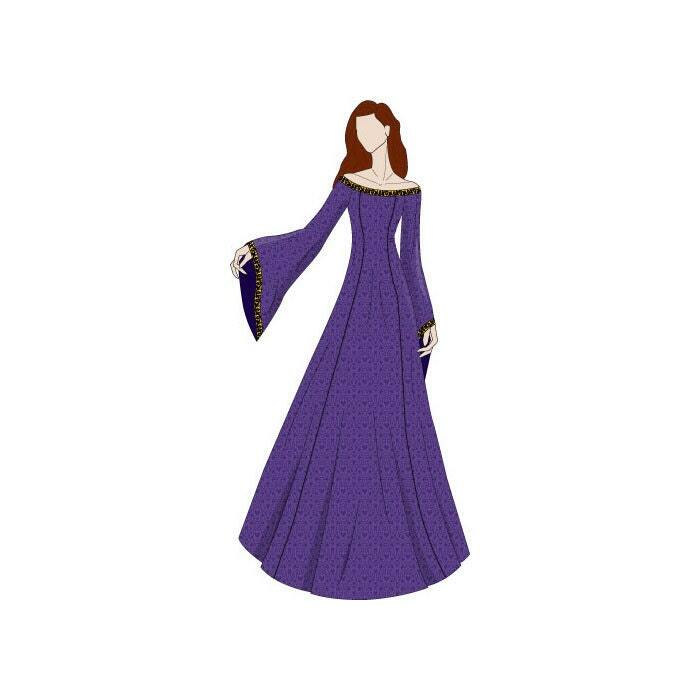 An off the shoulder dress with fetching bell sleeves. The dress features three layers, the outer main fabric layer, an inner supporting layer and a lining for comfort. Which means the dress can be made to be very fitting around the bodice area whilst still being supportive, if required. The fastening is a zip and hook and eye, although the pattern could be easily adjusted to use loops and lacing instead. To add the extra wow factor with this pattern use an underskirt for added volume. There is no underskirt pattern included although a long multi-purpose A-line underskirt can be found with the other patterns. 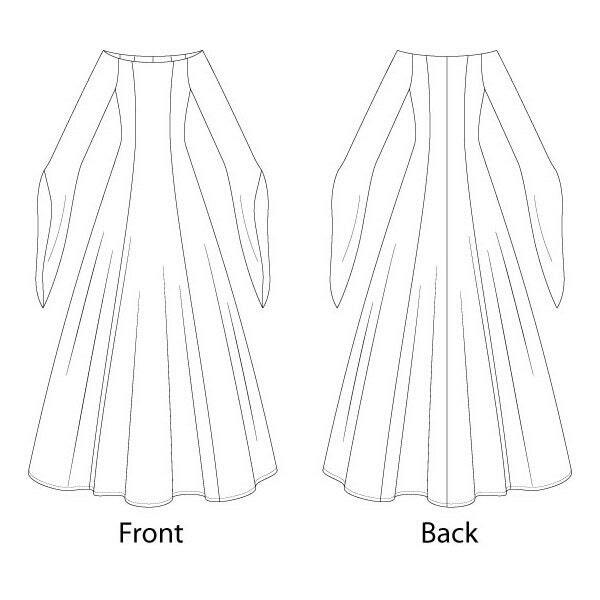 This is an intermediate to advanced sewing pattern, you will need to be able to understand sewing pattern symbols, work with multiple layers of fabric including lining, as well as boning one layer for additional support. If in any doubt refer to a good sewing book.